Our luxury glamping site is right in the heart of Shakespeare’s England – offering camping and glamping near Warwick and Warwick Castle, as well as close access to the rest of the historic county. Shakespeare’s England is a region which covers the south Warwickshire area, encompassing Stratford-upon-Avon, Warwick, Kenilworth and Royal Leamington Spa. We’ve talked about Shakespeare’s Stratford and the beautiful Cotswolds on our blog already (make sure you take a look) – but that’s just the start. We have plenty more to offer – from royal connections to roman connections! So, here for our Hilltop glampers is our guide to the best of the area, setting Shakespeare aside for just a moment! Our county town – Historic Warwick – is right on our doorstep and we offer the very best in Warwick glamping & camping near Warwick. 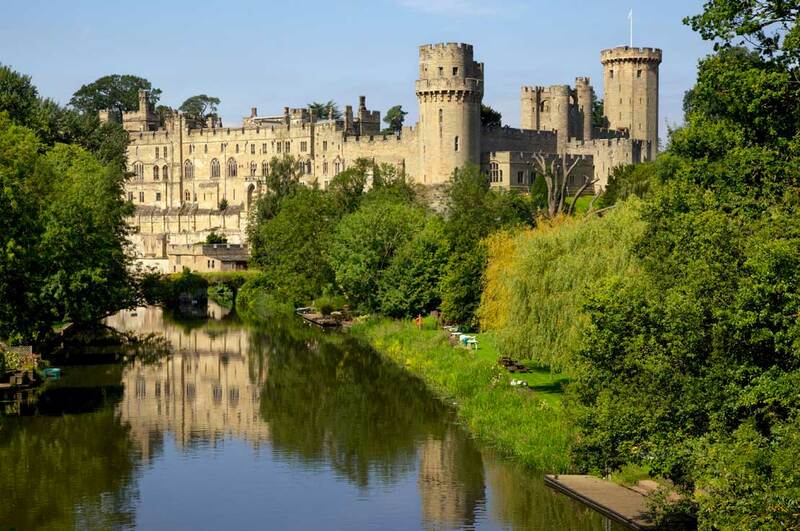 Just a 10-minute drive from Hilltop Hideaways, it is as picturesque as historic market towns come, famed for being home to Britain’s ultimate Castle, Warwick Castle. With our camping pods near to Warwick Castle, it is well worth a visit. You get great views of the castle from St Nicholas Park too (and they cost nothing!). You can hire a boat here to get even closer, and there’s a great café plus park, lido and fairground rides for the kids! Kenilworth, known for its connections to Queen Elizabeth 1, also has a castle – the magnificent English Heritage site Kenilworth Castle and Elizabethan Garden, well worth the short drive while you’re Warwick glamping. 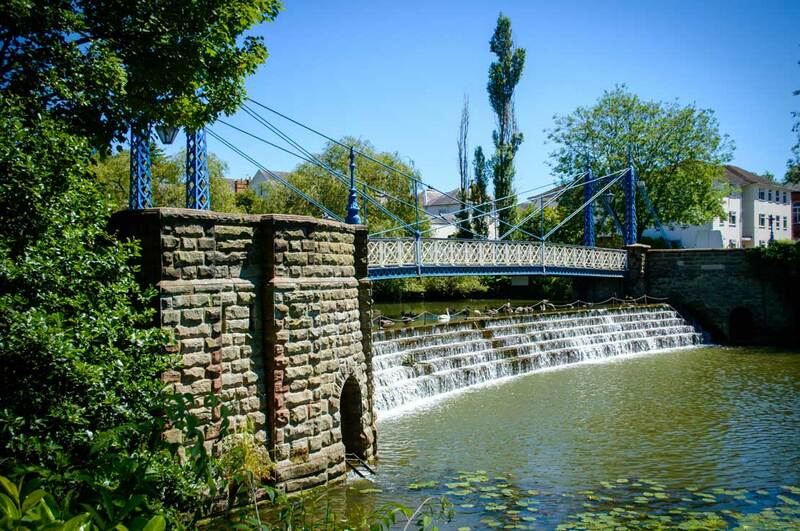 Royal Leamington Spa, just 3 miles from Hilltop, boasts dramatic Regency architecture and a host of well manicured parks and gardens. Well known as a shopping destination with a fantastic range of independent local retailers and high street brands. As well as the main towns in the region, there are many surrounding market towns and villages in the area that make a great visit too while you’re Warwick glamping. Alcester is an ancient market town set amidst the gently rolling hills of Warwickshire, 8 miles west of Stratford-upon-Avon. Steeped in Roman history (so many finds unearthed in back gardens) it boasts a fabulous little museum called ‘Roman Alcester’ where these finds are displayed, with free entry. Shipston-on-Stour is another picturesque rural town, famed for its wool heritage, Whichford Pottery and landscape of honey-coloured Cotswold cottages. Henley-in-Arden is one of the oldest market towns in Shakespeare’s England. The one mile long High Street is a conservation area with over 150 buildings of historic interest. Go and explore! And don’t forget to visit our glamping blog to find out more about great family days out during your stay. Want to book accommodation near Warwick Castle?